My first holiday outfit series was filled with comfy outfit inspiration for Thanksgiving. 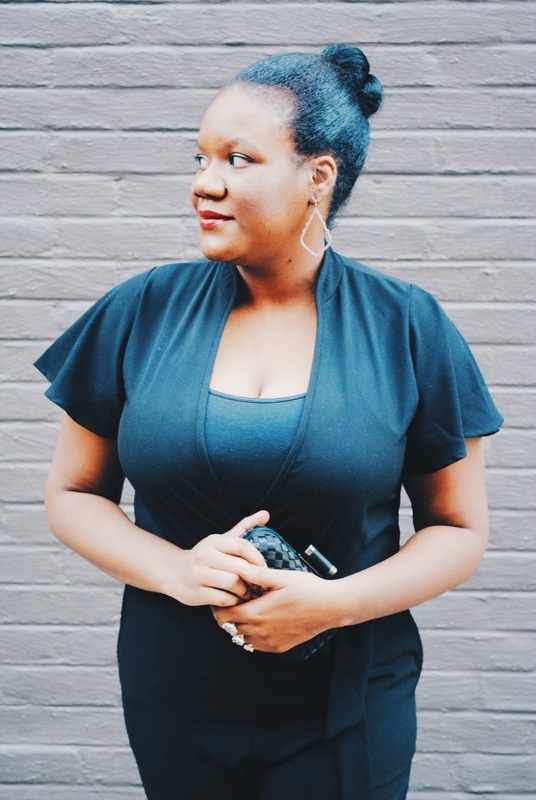 This year I’m sharing dressier looks because this is the time of year when those holiday party invitations start rolling in. Of course I’m going to RSVP ‘yes’ to all of them because who doesn’t love a good reason to dress up! 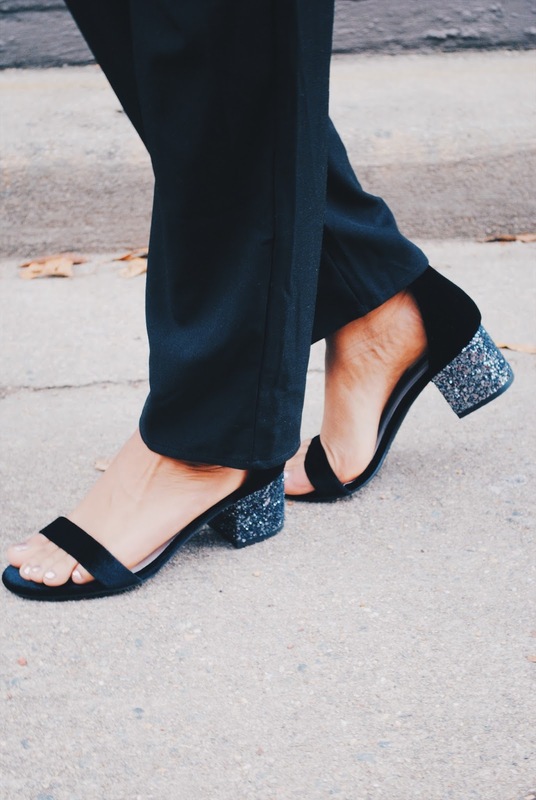 My must-have item for amazing holiday party outfits? 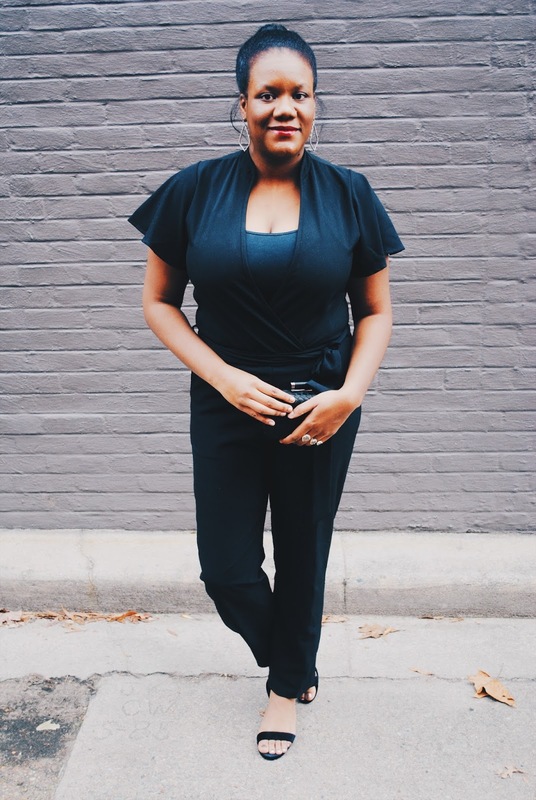 A jumpsuit: they don’t require tights (I really hate wearing them), they are completely unexpected, and just plain cool! 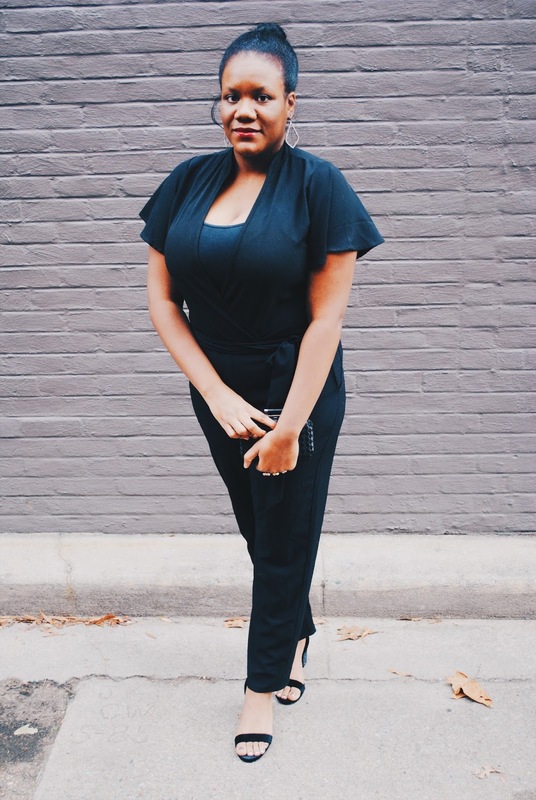 When I saw this LBJ (little black jumpsuit) from PinkBlush on their website, I knew it would be the perfect piece for any upcoming holiday events. I can a bit lazy when it comes to dressing up - the easier, the better. This all-in-one ensemble means the only things I have to think about are shoes, bag, and jewelry! 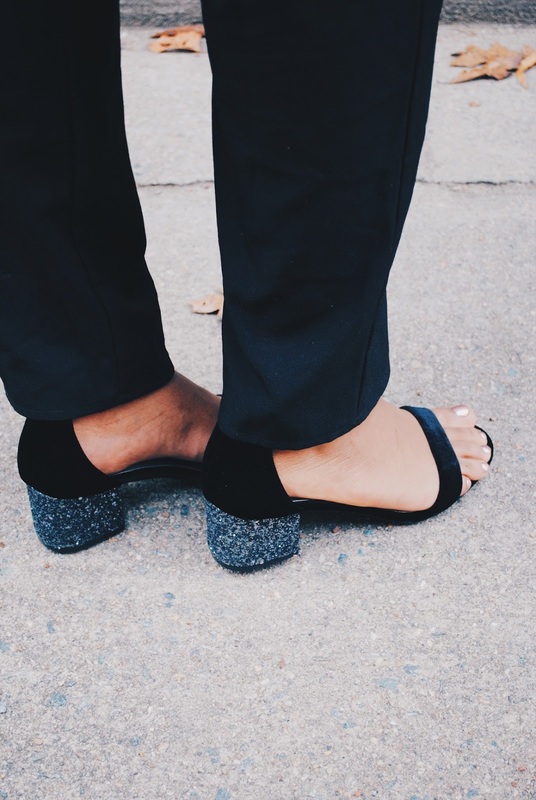 I dressed mine up with these velvet glittery heeled sandals; I think they add the perfect touch of sparkle to this outfit along with this gorgeous Kendra Scott ring. This classic pair of Kendra Scott earrings and a basic black clutch complete the look with ease. 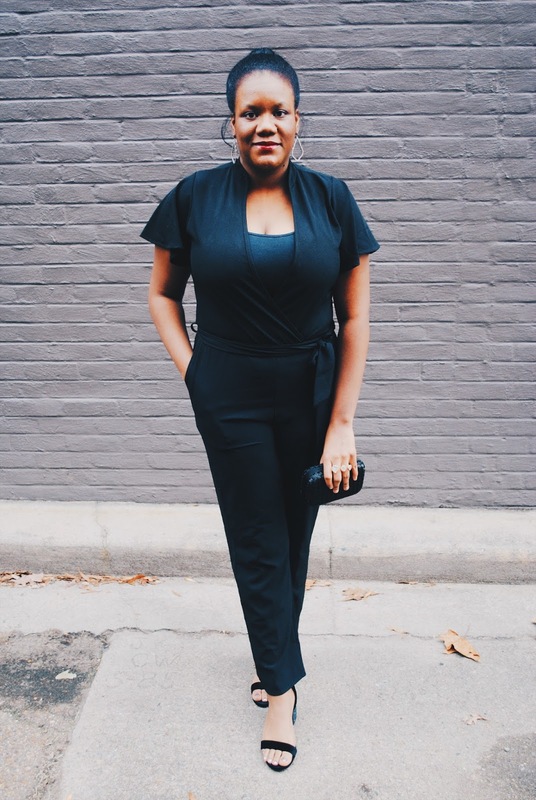 If you want this particular jumpsuit I would rush over to PinkBlush’s site because it’s selling out fast! 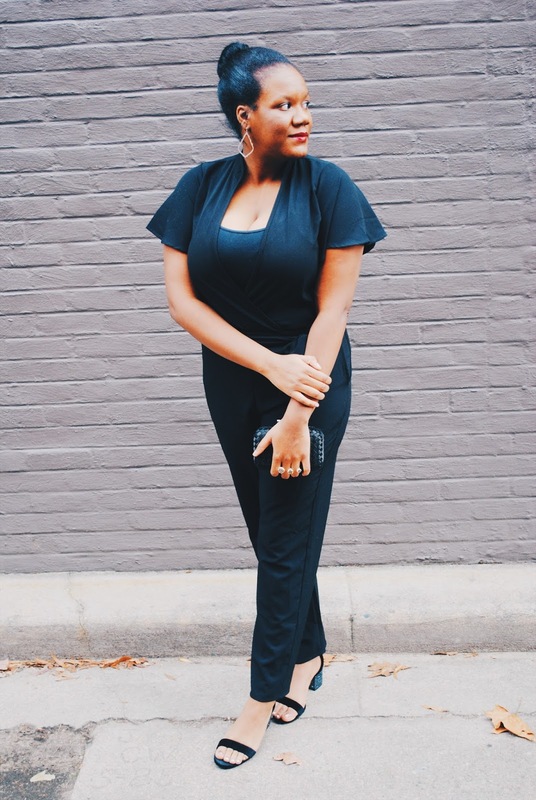 I’ve also linked a couple of other jumpsuits that I guarantee will make you the star at your next holiday event!